If you want your company's website to be a true success online, you're going to need the help of a digital agency. Luckily, Blue Fountain Media fits the bill perfectly. 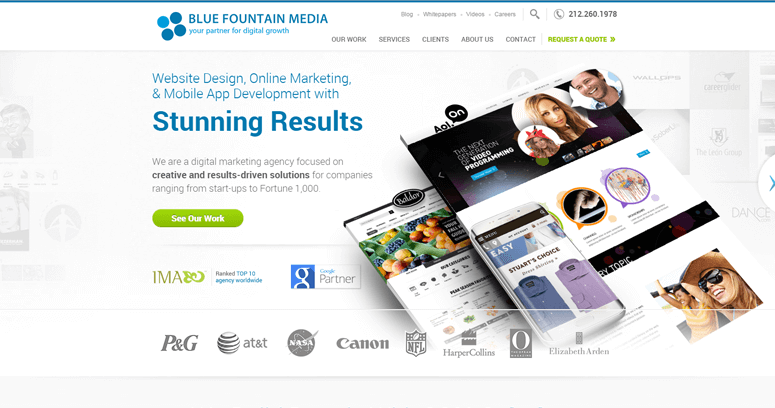 Blue Fountain Media is a full-service digital agency that offers website design services, search engine optimization services, pay-per-click advertising management, social media marketing and so much more. 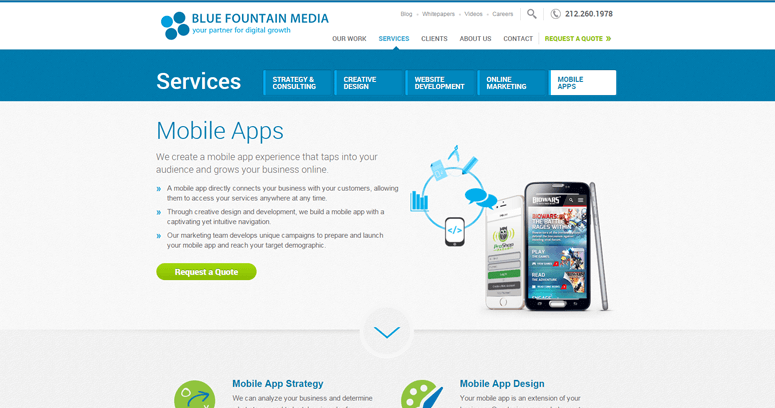 Based in New York City, Blue Fountain Media helps customers with businesses of all sizes. It's a company that you can rely on for every step of your online marketing needs, making it easy for you to make your website an online success. Plus, you will not have to worry about working with multiple agencies or individuals; instead, you can work with professionals who know how to do it all to boost leads for your company. 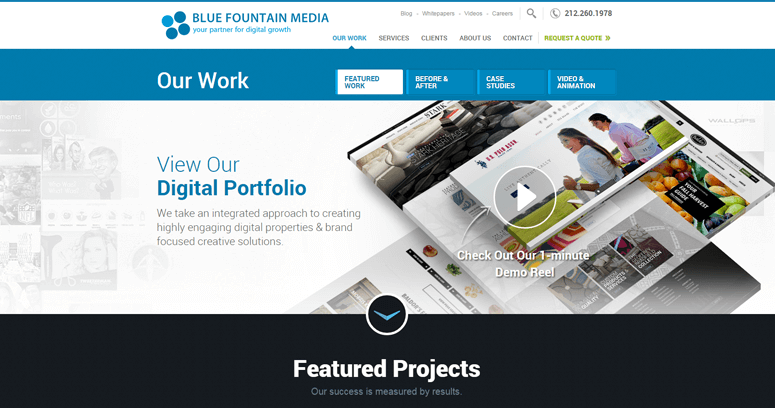 As an added bonus, Blue Fountain Media is well-known for offering top-quality services for reasonable prices, so you can make your advertising budget go that much further.